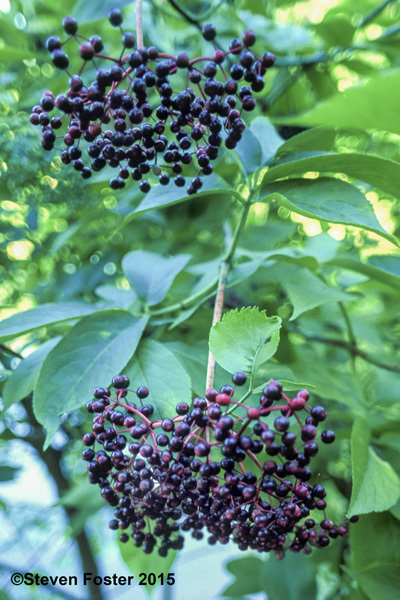 Sambucus nigra, called European elder, elderberry, or just elder, is a member of the family Adoxaceae, and is native to Europe, northern Africa, and western Asia. Both the flowers and berries have been used medicinally since antiquity for many conditions. 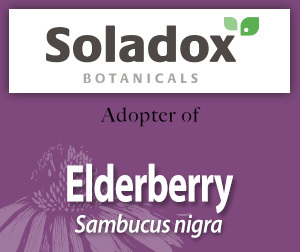 Please enjoy this information on elder made available through the generosity of Soladox's adoption. Elderberry monograph from The ABC Clinical Guide to Herbs. Elder flower monograph from Herbal Medicine: Expanded Commission E Monographs. Elder flower monograph from The Complete German Commission E Monographs—Therapeutic Guide to Herbal Medicines. European Elder profile. 2013; 97:1-7.